Spain's Georgina Garcia-Perez, ranked 161st in the world, drove a stake through Japan's heart on Sunday by completing wins in all three of her matches for a 3-2 victory in their Fed Cup World Group II first-round tie. Garcia-Perez completed her remarkable weekend at Kitakyushu Sogo Gymnastic Hall by partnering 16th-ranked doubles player Maria Jose Martinez Sanchez to beat Miyu Kato and Makoto Ninomiya 6-1, 6-3. 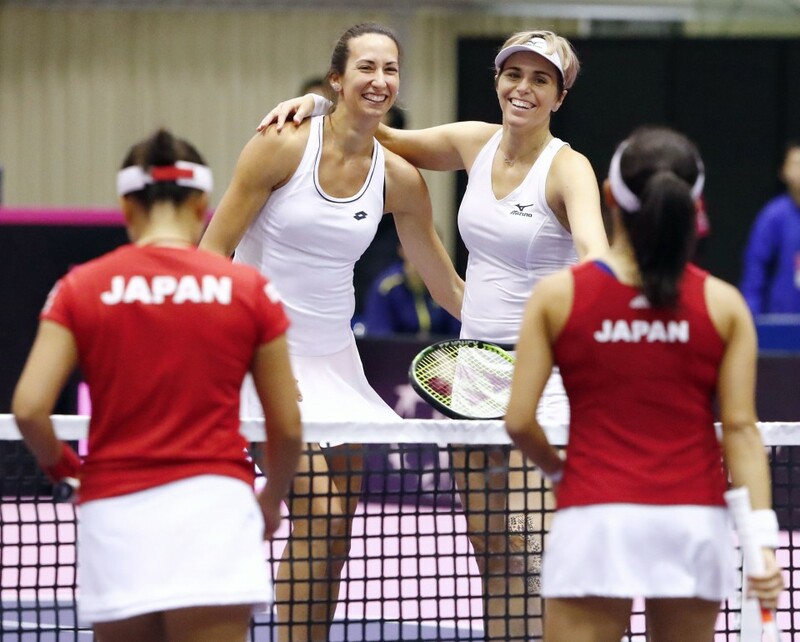 "This weekend was perfect for me," Garcia-Perez told the Fed Cup website. "I thought yesterday it was very important that I won my first match. I wasn't surprised to play the doubles because I played really good this weekend and the surface suits me very well. I was very positive and really wanted to win this tie for my country. I'm not tired, I'm so happy -- my adrenaline is very high!" Garcia-Perez's heroics began on Saturday. With Spain already trailing host Japan 1-0, the 26-year-old fought off a match point to come back and beat Misaki Doi, winning her first career Fed Cup singles match and evening the tie at 1-1. "One point can change everything," Spain captain Anabel Medina Garrigues. "It's true Doi had that match point, but Georgina was very aggressive in response and went on to win. It could have changed everything, but this is the Fed Cup." "We weren't able to establish any rhythm in our return games, so breaks were really hard to come by," Japan captain Toshihisa Tsuchihashi said. "That they were able to put real pressure on our serves was huge."